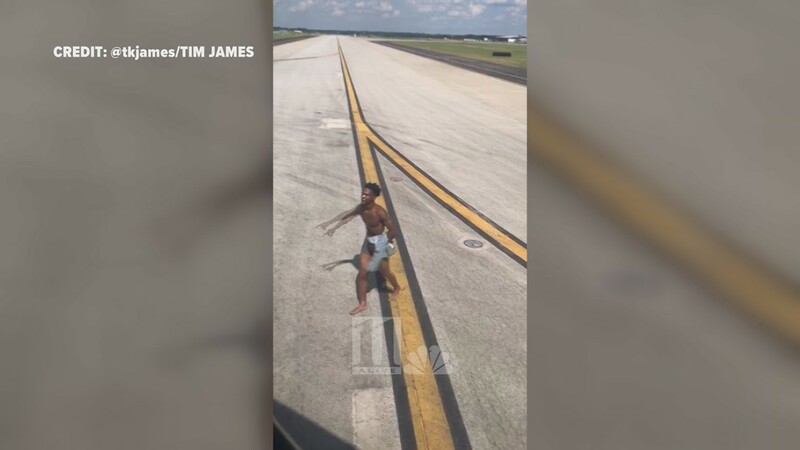 The flight had just landed from Miami when passengers saw the man running around in his underwear. 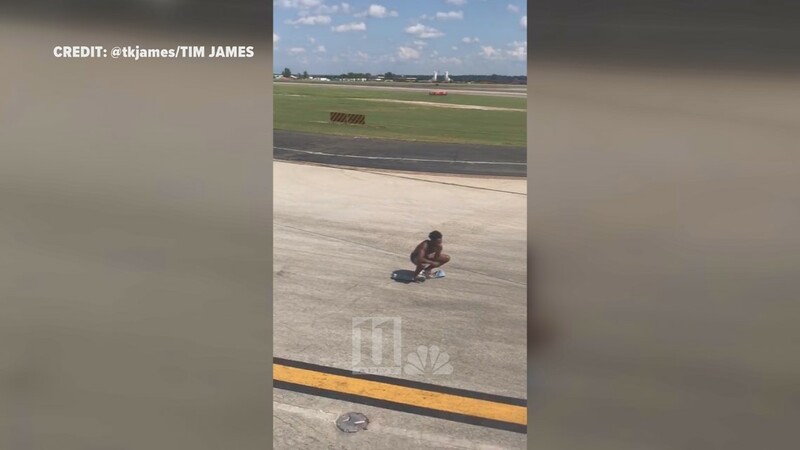 ATLANTA — Officials provided updates on Wednesday morning after a man ran onto a tarmac at the airport wearing only his underwear Tuesday. 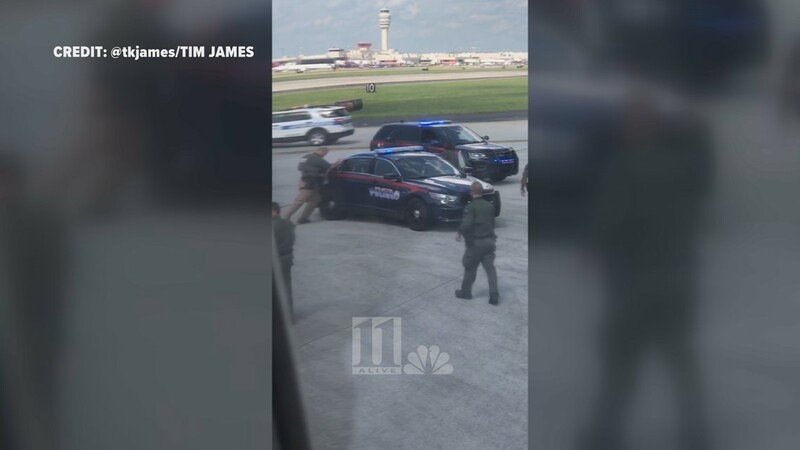 Major Timothy Peek who is a commander with Atlanta Police explained how a man was able to jump a fence and run onto a tarmac half naked during a press conference on Wednesday. Maj. 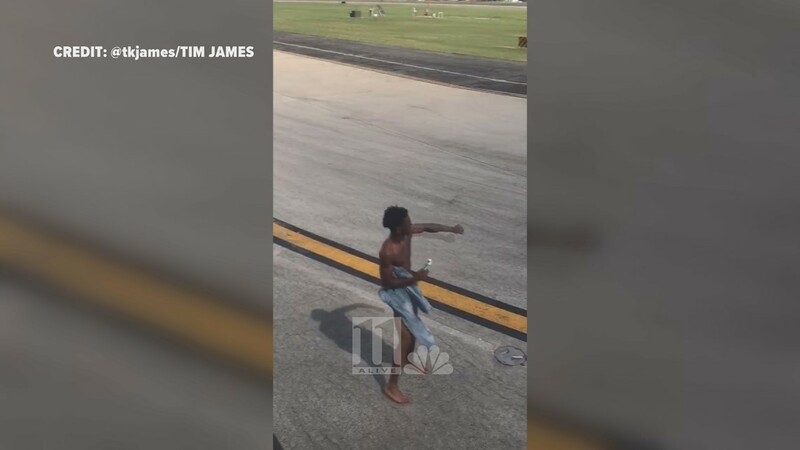 Peek says it is still unknown what prompted 19-year-old Jhryin Jones to jump the airport fence and run onto a tarmac, "What can stop a person from jumping a fence, I don't know to be honest with you." Jones was transported from the scene suffering from minor cuts and scrapes, according to Peek. Maj. Peek went into how the parameters that have been put in place to keep the airport safe will continue and even commended the fast response from officers and other security personnel. Although Maj. Peek seemed pleased with the security measures set in place at the airport already, he did say that if there are areas that need to be tweaked, they will. "Ultimately, one foot is too far inside of restricted areas," Peek said. "Five minutes is not a bad response time, let me say that. Can we do better? That depends on the situation and what all the information that we are receiving." Jones is being charged with criminal trespassing, public indecency and obstruction of law enforcement officers. 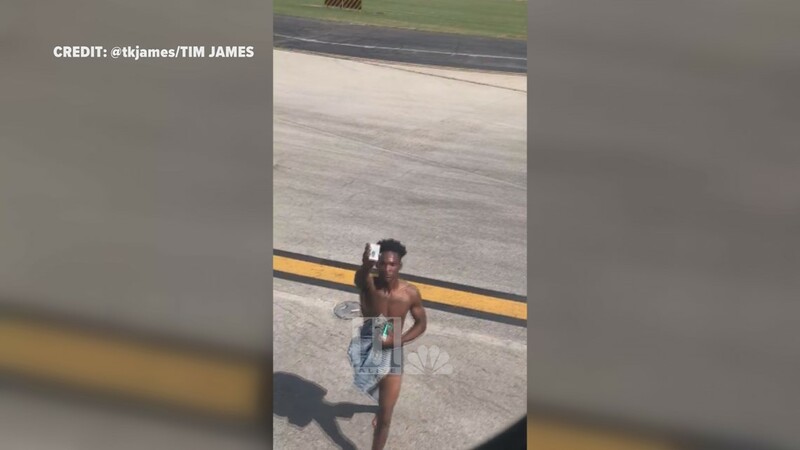 Passengers aboard a Delta flight were met with a strange sight after landing that evening: A half-clothed man who tried to run up on the plane from the outside on Tuesday. 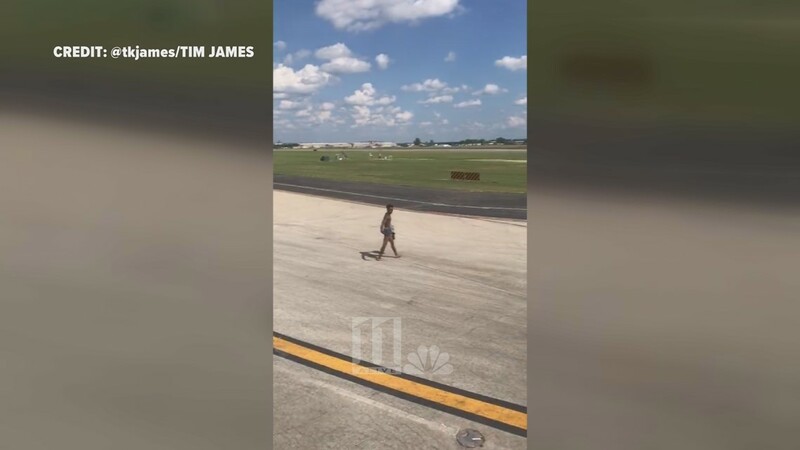 The FAA confirmed the unidentified man was been apprehended after he somehow made his way into a restricted area of the airfield and onto the runway around 5 p.m. Witnesses aboard the plane told 11Alive the Delta flight was coming from Miami and had just landed when the chaotic scene unfolded. 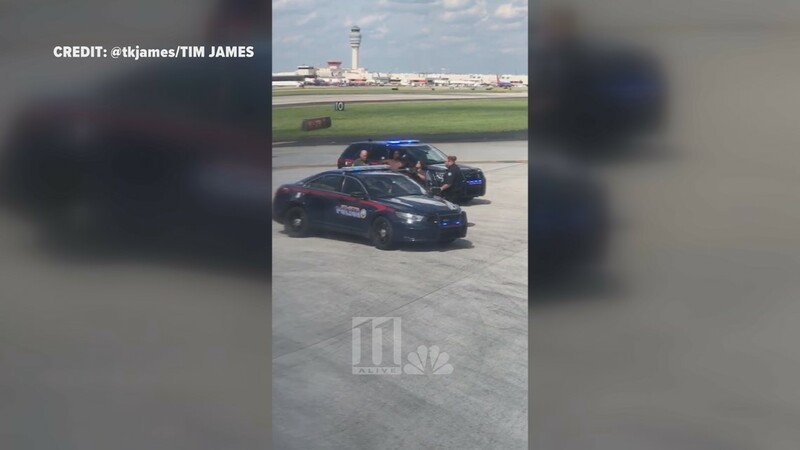 According to airport officials, they initially thought the man had been aboard the plane, but they later said they weren't sure that was the case. Eventually, they were able to determine the man jumped a fence and ran onto the taxiway. During the incident, the man appears to be shouting at someone aboard the plane. 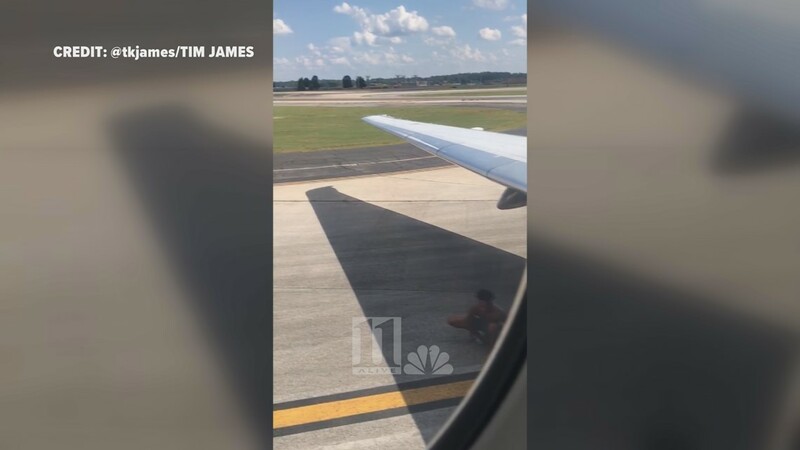 Jones said the man wasn't originally on the flight, but tried to climb up into the aircraft through the emergency exit window above the wing. Jones went on to say passengers in the exit row held the door closed so he couldn't get inside. Video later shows police surround the man and handcuff him on the ground before struggling to get him into the patrol car. Meanwhile, the FAA confirmed that the incident forced one of the runways to be shut down. Officials redirected aircraft to other runways until law enforcement checked out the plane. The airport tweeted that the incident did not cause any further delays. Officials tell 11Alive the perimeter is about 29.75 miles.